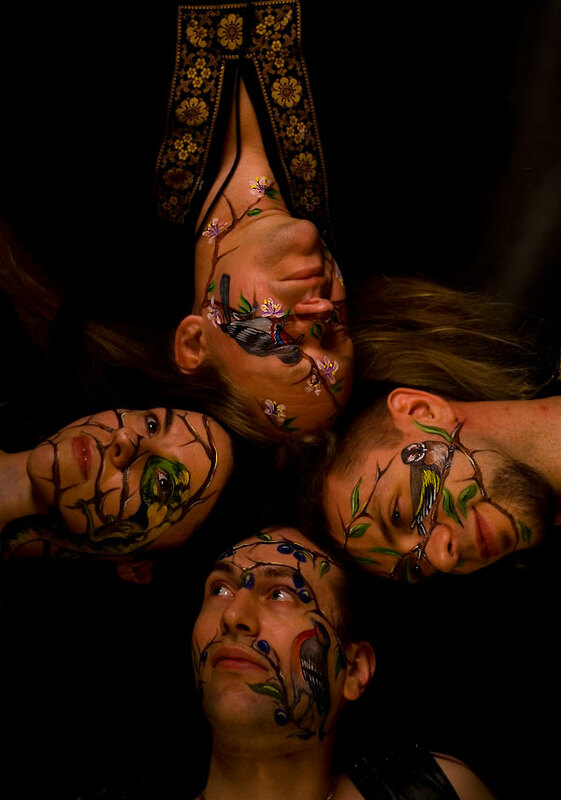 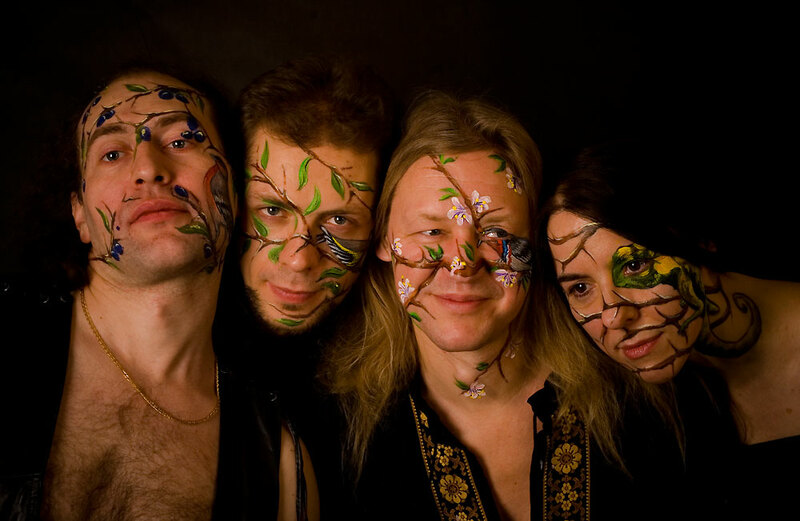 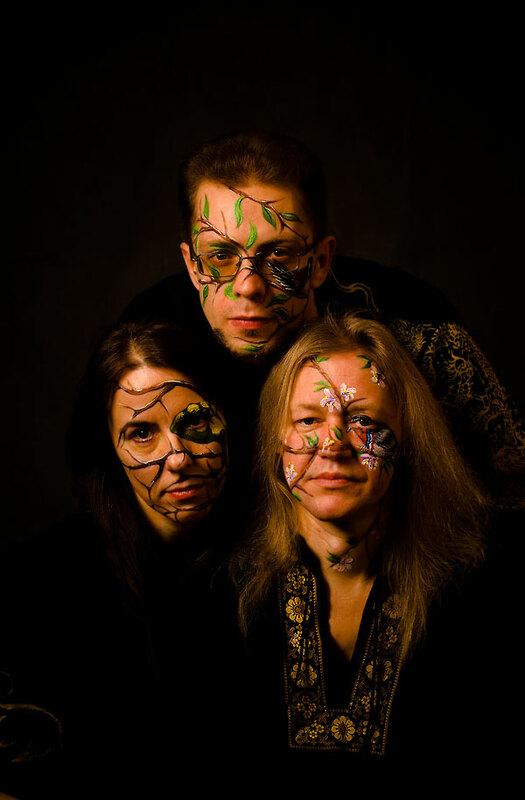 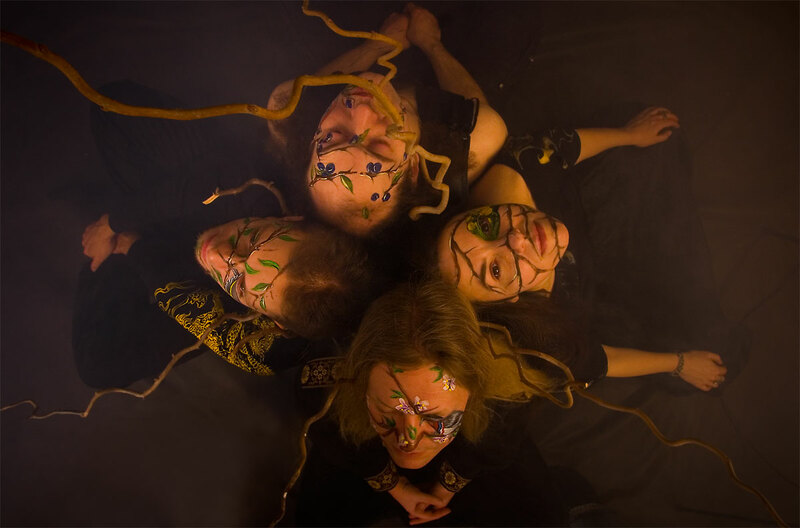 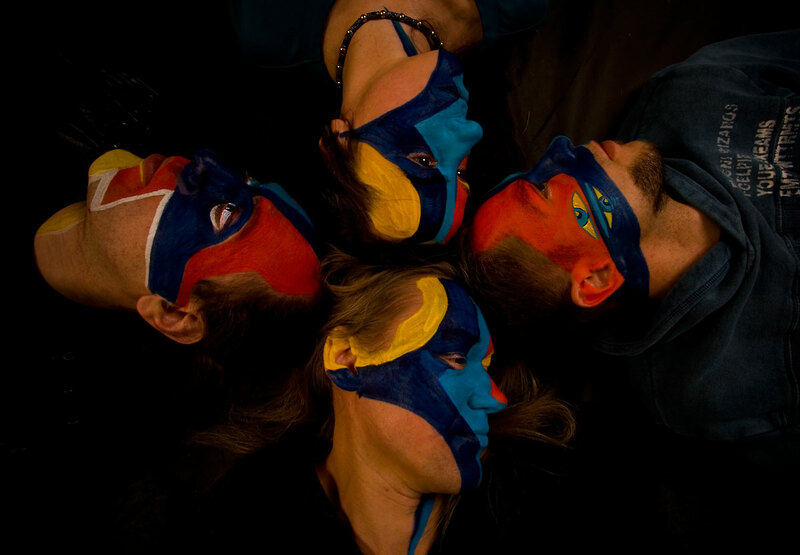 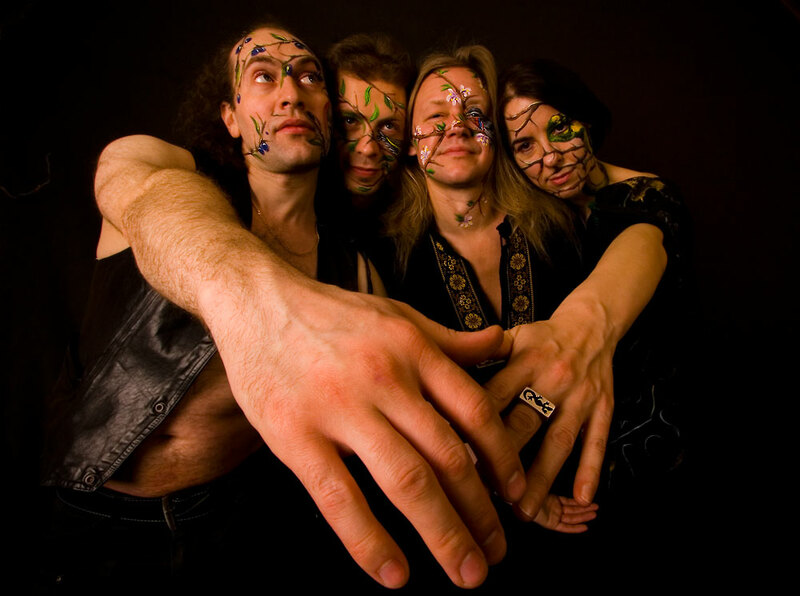 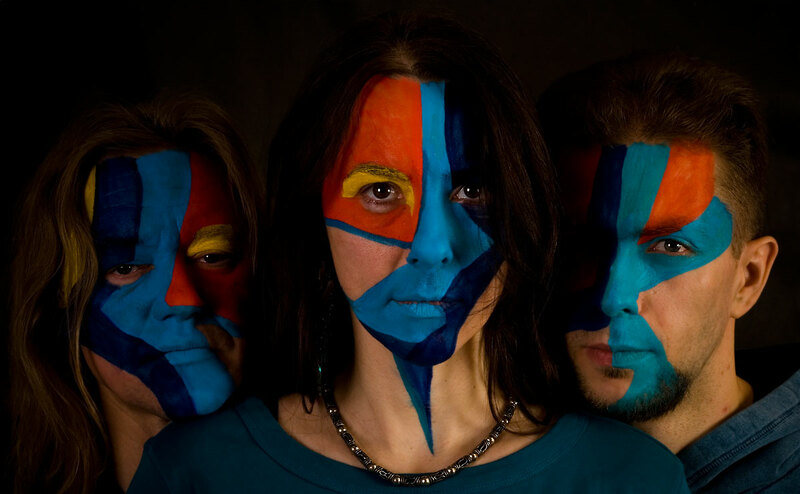 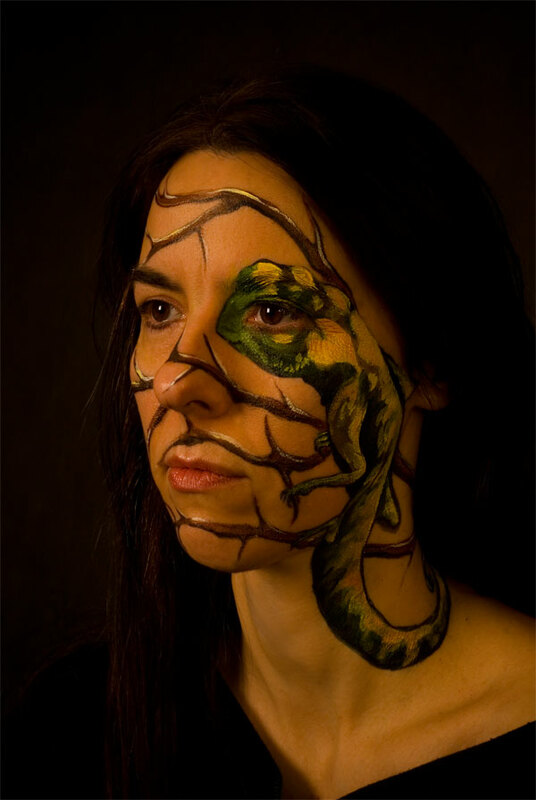 My cooperation with dark folk band "Rada and Blackthorn" started with face art session in February 2010. 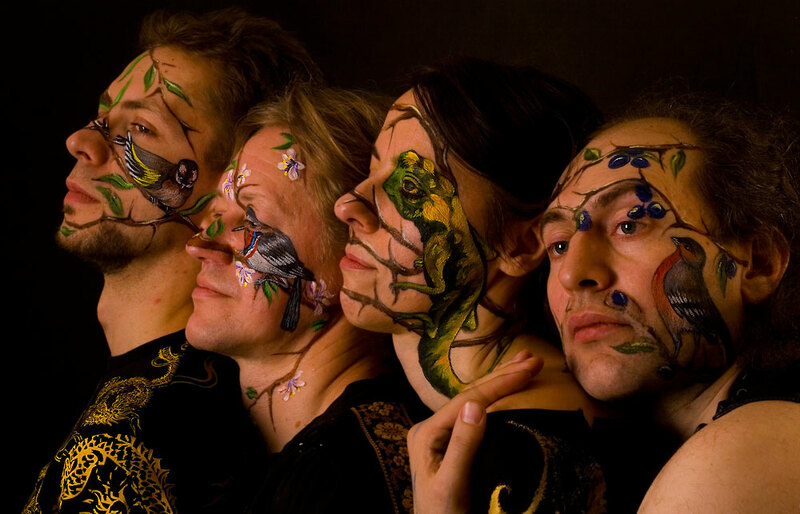 Together with artist John Tatart we painted faces of musicians and photos were made by Aleksandr Abalikhin. 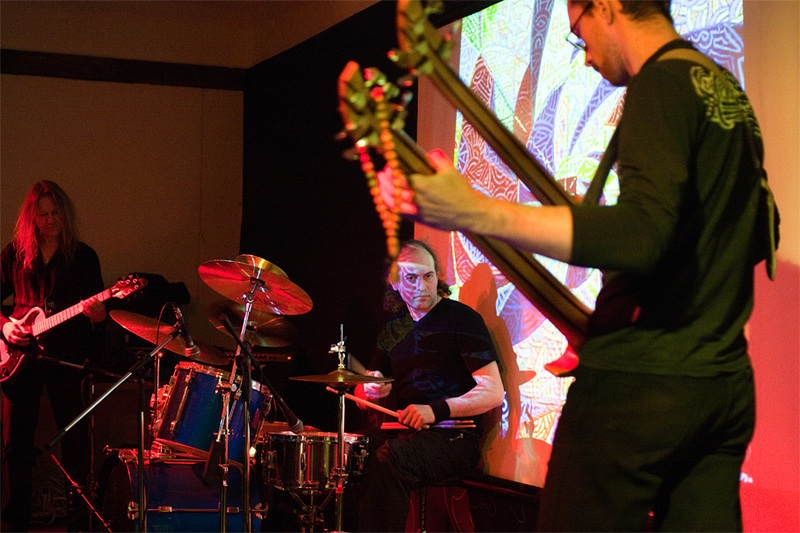 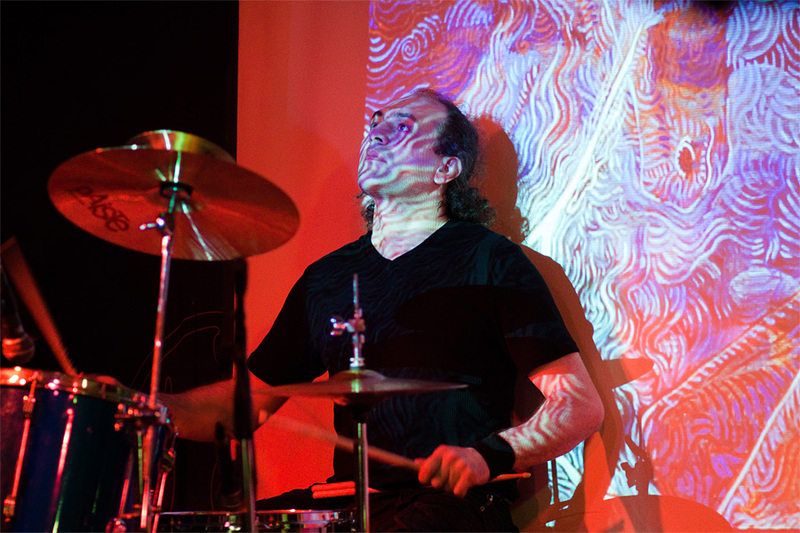 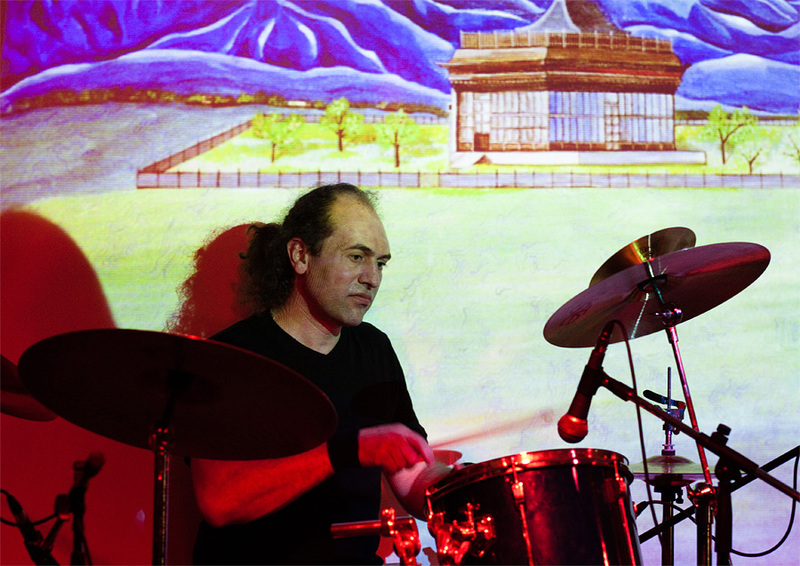 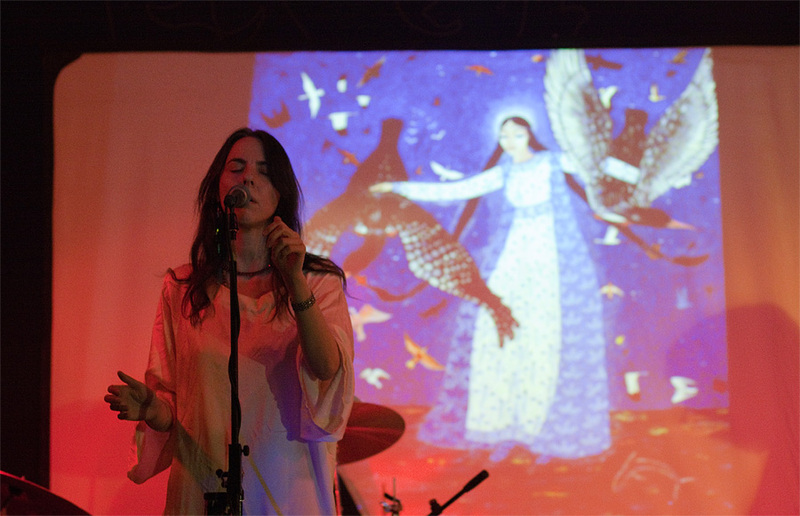 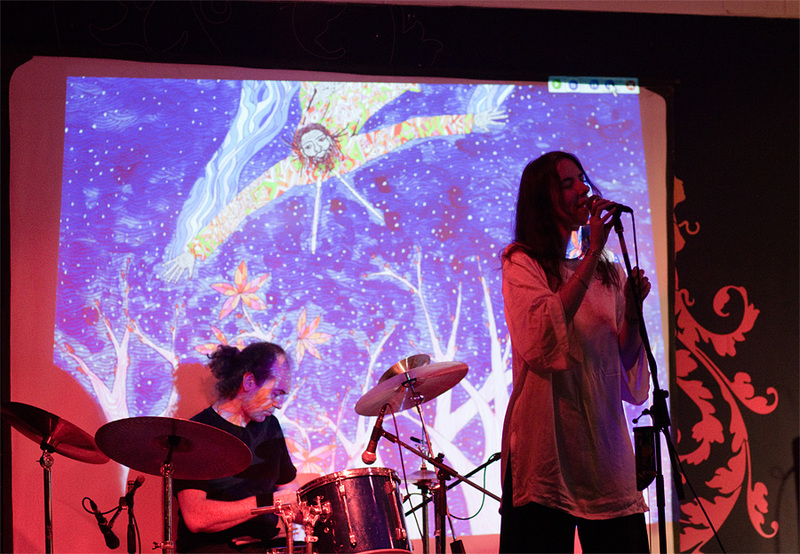 Later on when we felt some communality in their music and my art, we together participated in some performances when my paintings were projected on the screen during the concerts and face art was made. 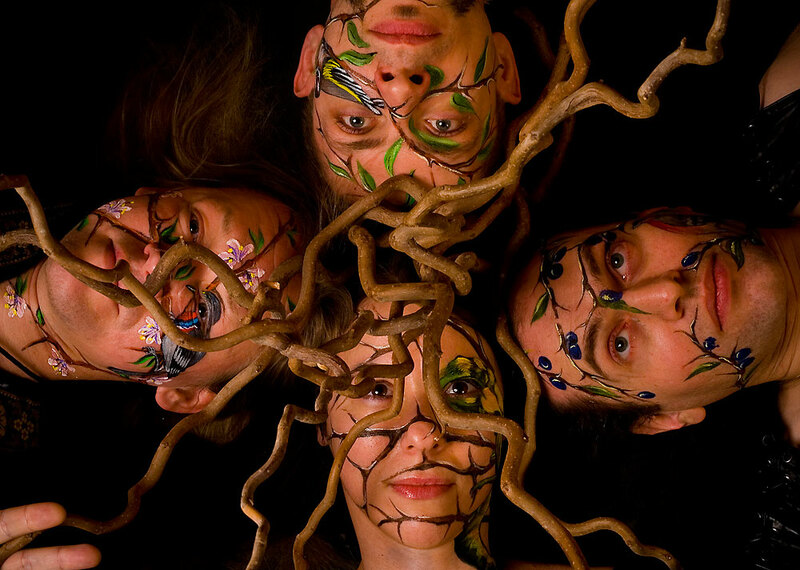 Moreover, Rada is often performing at my exhibitions, you could see those photos at other archive pages.